and “GARH” meaning forts, as there were countless forts in this region. The glory of the city is enhanced by the beautiful lake which is known as “LAKHA BANJARA JHEEL” situated in the heart of the city. Sagar is a handsomely built university town with a great natural beauty & cultural heritage. Hindi is the lingua franka of city, while bundelkhandi is the local dialect. It is well known for its contribution to Hindi literature & hosts a number of writers, poets & other leading artists in their respective fields. Sagar, A university town is blessed by God, the person behind this scene is a dream merchant Dr. SIR HARI SINGH GOUR ,who put up all his efforts & energy to make his dream come true , in turn the dream of people for getting quality education came true for which the people of Sagar are indebted for his valuable contribution . It was established in 1946 on 18 th July & was the first university of M.P & it is the 18th university established in India. It has now become a central university. The dept. of forensic science & pharmaceuticals sciences, Anthropology, Applied and pure Geological Science are the leading teaching departments. established with the inception of the university. 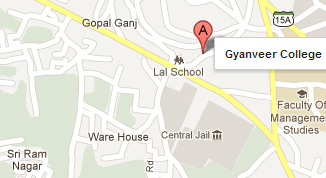 The city has, some renowned schools which include Great man International school, st. Joseph's Convent School. There are also three central schools in the city. Army public school and other private schools are budding in and are trying their best to improve the quality of education which laurels brought with university. Gyanveer Institute of Management and Science , Sagar is Located on Rajghat Road , in the beautiful hilly aria of the Sagar. G.I.M.S. away from noise and industrial population and environmental disturbance. It is easy to approach and accessible through public transport and is connected with all part of sagar city.